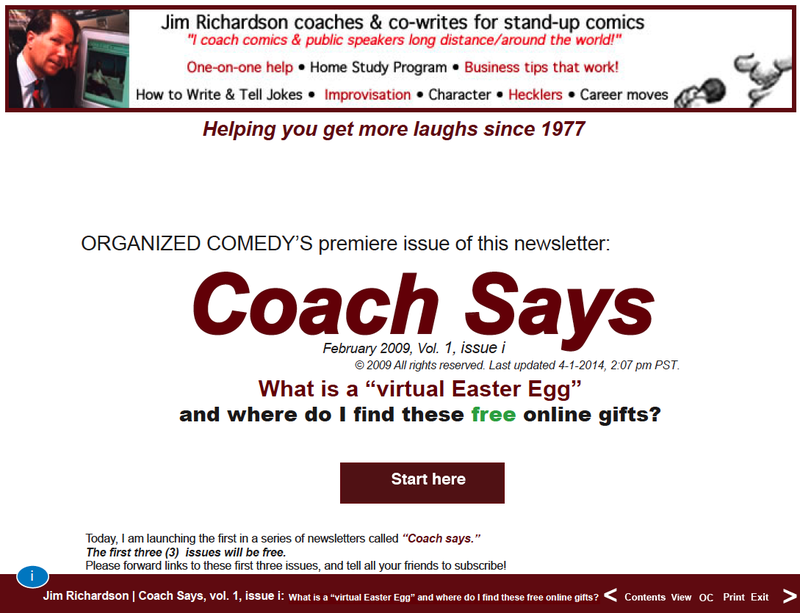 "Easter Eggs: hidden images and text inside 'Coach Says,' newsletter Vol. 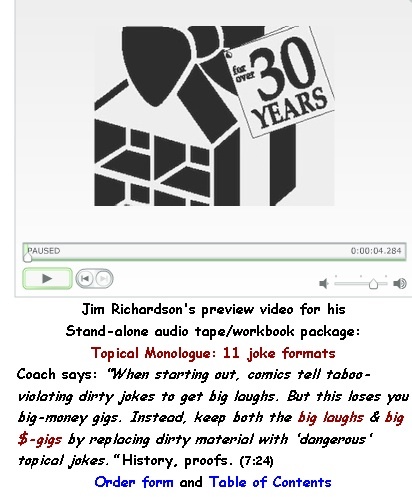 1, issues i and ii" by Comedy Coach & Co-Writer Jim Richardson. 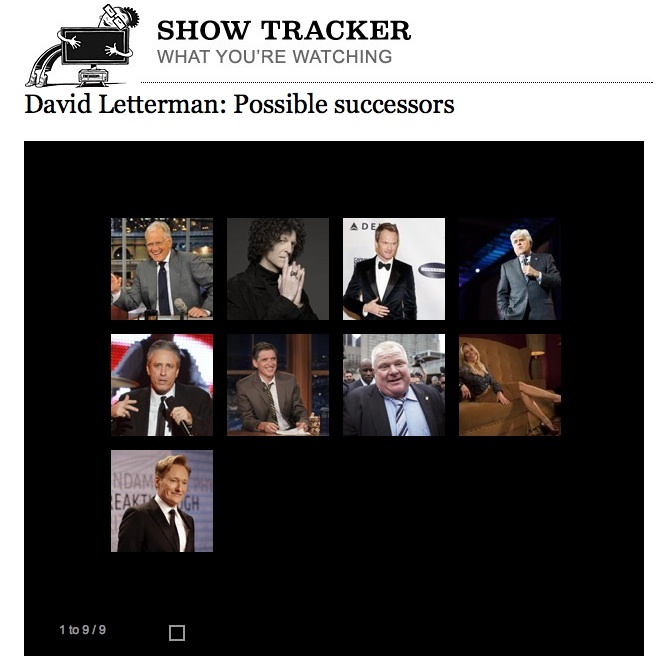 How can you become David Letterman's replacement's . . . replacement? Audio clip buttons tutorial | Pointed finger means . . .? Where are the clues to finding out how to win one of the 4 prizes in these 3 contests? 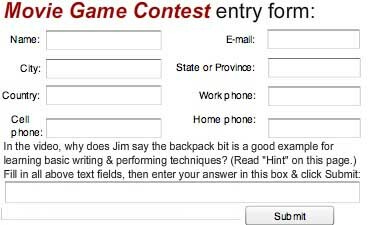 2) Half-hour of my Coaching and Co-Writing services for the second person to contact me with the correct answer. Prizes must be used within 14 days of guessing a correct answer. •You will need this step-by-step information. •to compete for a prize. 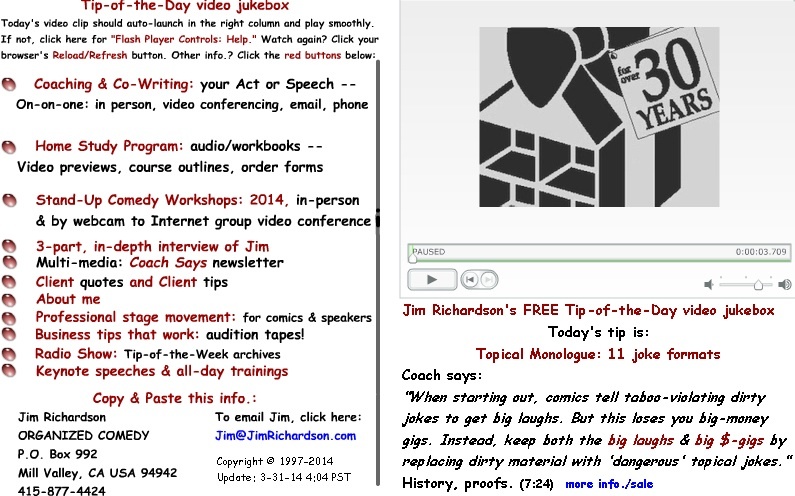 One hour of my Coaching and Co-Writing services for the first person to contact me with the correct 2-part answer. Created: 8-12-09, 8 pm PST; Last updated: 4-15-14, 2 pm PST. 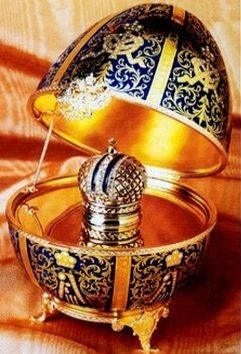 A) Found the virtual Easter Egg that contains the final clue that leads directly to the correct Answer.
" Vol. 1, issue i's correct answer"
or "Vol. 1, issue ii's correct answer"
•or it immediately passes to the Runnerup Contestant. but is not allowed on Apple's iOS for mobile devices like iPhone, iPodTouch nor iPad. 2) Then, watches the video on a page in the issue which you can only access after first winning the Movie Game Contest. Subject: " Vol. 2, issue i's correct answer,"
Vol. 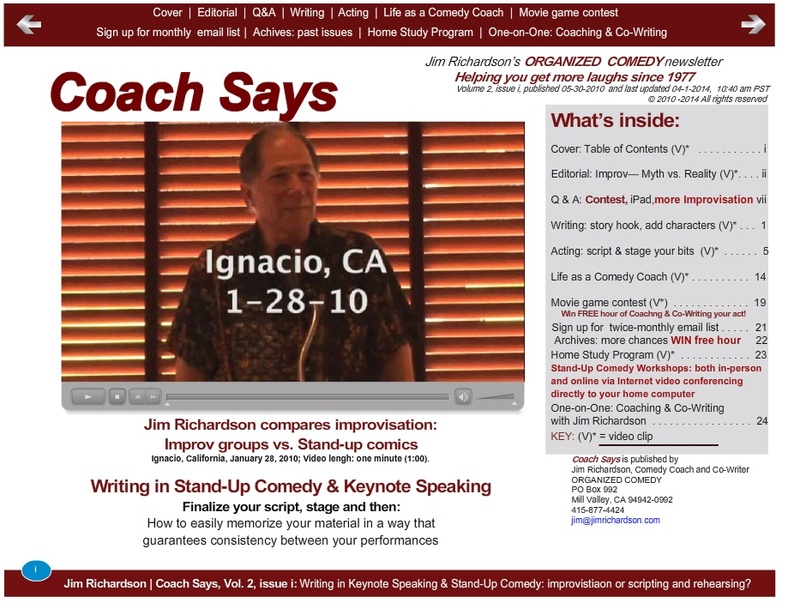 1, issues i and ii, February & August of 2009, are both "dynamic" multimedia PDF files. Vol. 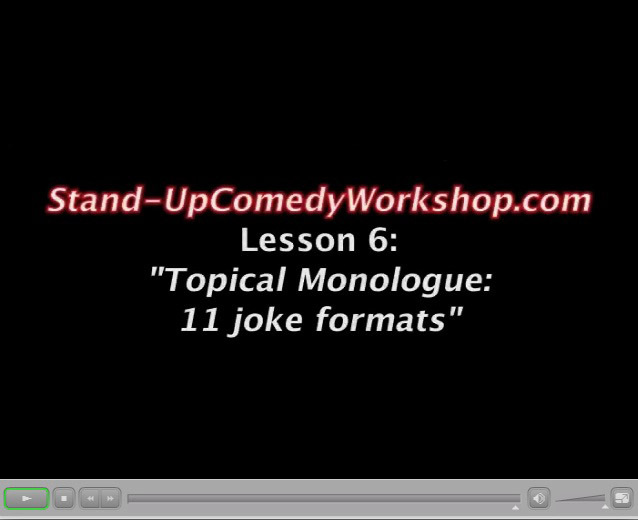 1, issue i, has several audio Tips for writing and performing effective jokes. •is programmed to automatically offer 30% discounts on selected stand-alone audio/workbook packages. before he retires within a year of his 4-3-14 announcement, too late! 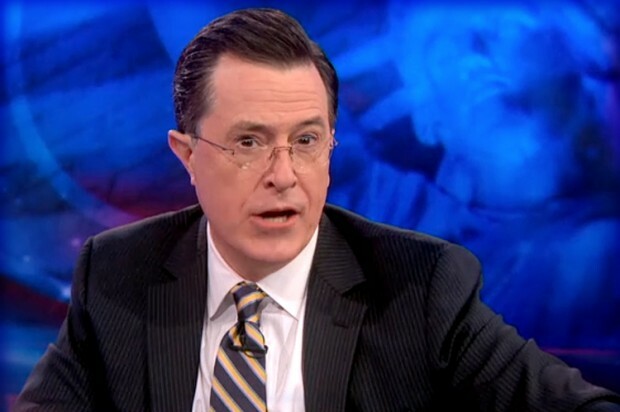 On April 10, 2014, CBS-TV announced that Stephen Colbert will replace Letterman in 2015. He is the host, writer and executive producer of Comedy Central's cable TV show "The Colbert Report,"
"Colbert will not portray his Comedy Central character when he hosts the late-night show." 1) April 30, 2006, "60 Minutes" anchor Morley Safer went behind-the-scenes at "The Colbert Report" to try and find out! following John Stewart's also topical "The Daily Show." on the 9th and 24th of each month by going to TOD any time on either of those dates. 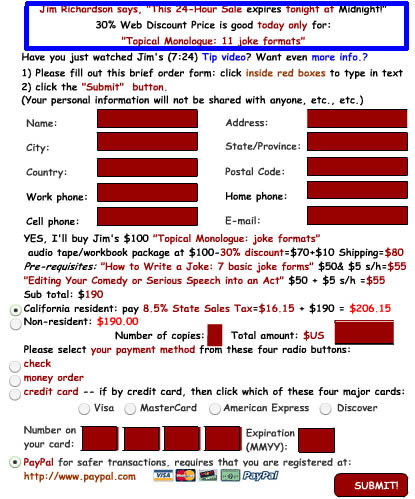 you do not see the blue link to "more info./sale"
you do not ever see any mention of a sale at the top of the order form slide. "This 24-hour sale expires tonight at Midnight!" which means midnight your time. 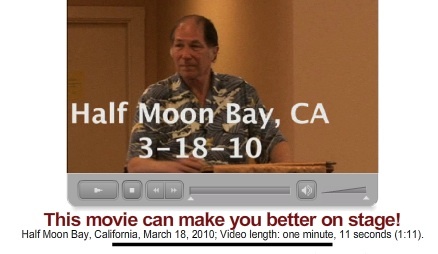 •that day's video is programmed to automatically begin playing in the right-hand side of the screen. The exception that proves the rule: "Professional Stage Movement: setting the bit"
the key to winning that free hour of coaching. 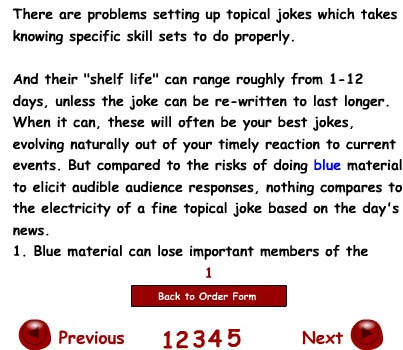 •You can quickly find Hints 1, 2 and 3 by using this issue's simplified "Contents" pop-up menu. which will also enable the one video clip you'll find on page 17 to be playable. This is a rather annoying "feature" that Adobe added after I created these two .PDF files. Hopefully, you will find the content worth a little annoyance. This gets even easier as we go on. from any other page inside that document. PDF = Portable Document File. 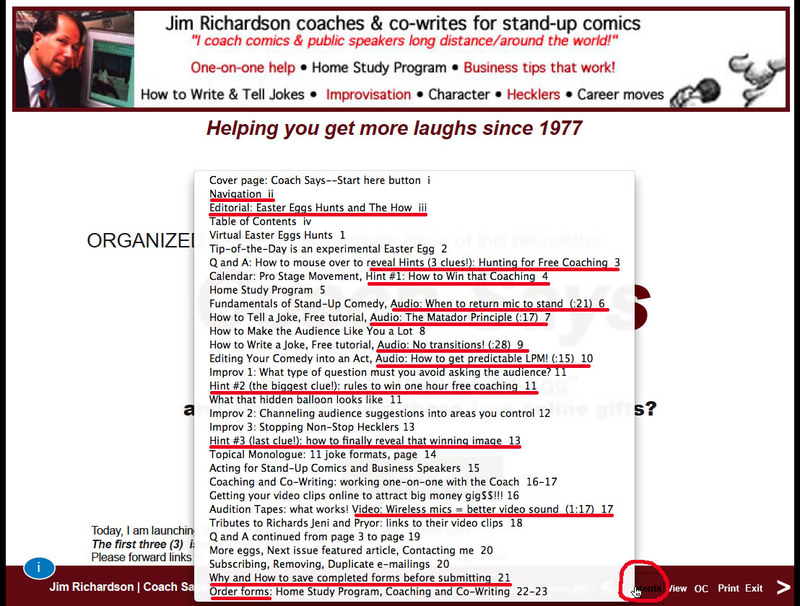 To bring up the Contents menu, click just once on the button labeled "Contents." Unlike issue ii, issue i's pop-up menu has no "leaves" so all menu "headings" are clickable. What is a "virtual Easter Egg?" •and their current use by computer programmers as "virtual Easter Eggs." 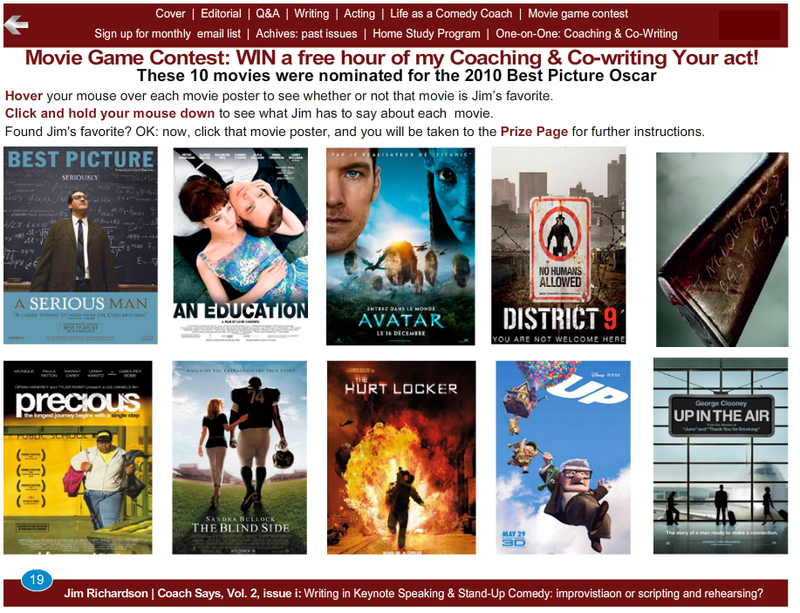 WIN a FREE hour of my one-on-one Coaching & Co-Writing services! Why have I added 4 new pages of instructions and screen shots? 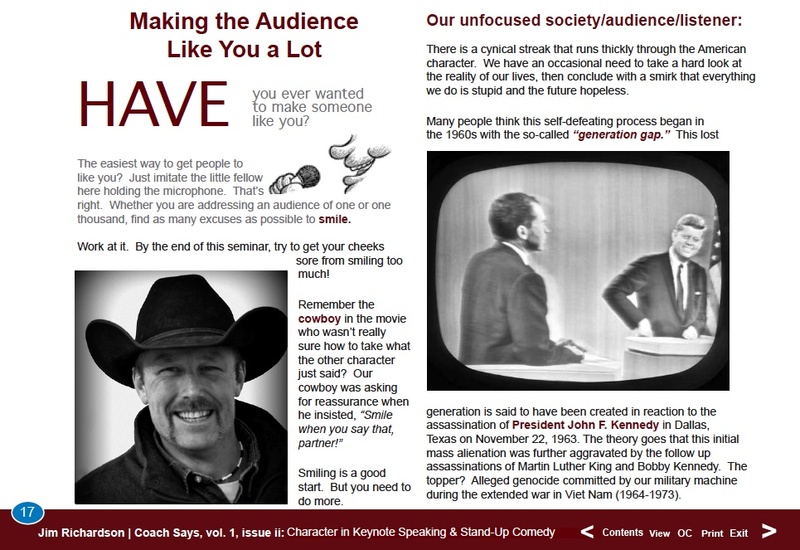 •plus these dynamic .PDF's way cool navigation menus, etc. and potentially win a free hour of my one-on-one Coaching & Co-Writing services. went on to win issue ii's prize later that the same day! •So, from now on, it's one prize to each new potential student or client! "Degree of difficulty is never a factor!" 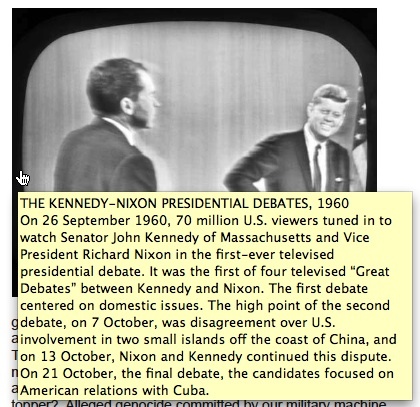 Note that some menu headings now have leaves, like the "Q & A" heading in the next image below. Whenever you see leaves, only the leaves are clickable. But, same as with Vol. 1, issue i's pop-up menu, when a heading has no leaves, then that heading becomes clickable. 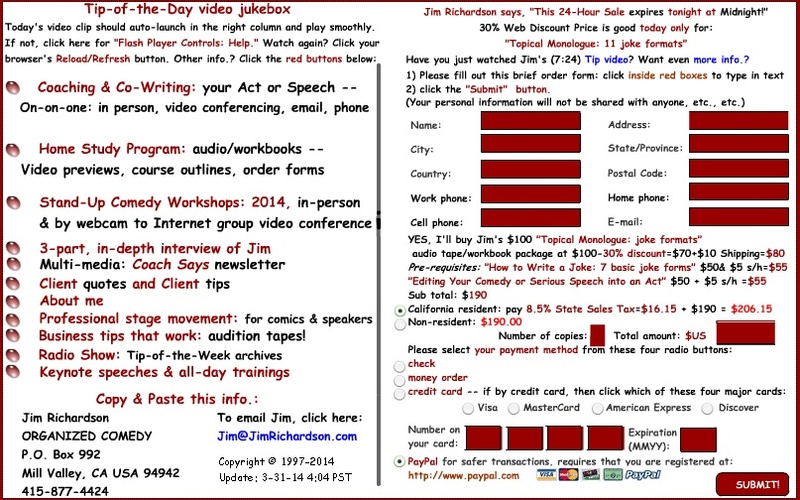 but the different look of these pop-up menus sometime throws some folks off. that "some folks" even includes me! and the same article names in the TOC also appear in the pop-up menu. whereas the last three heading names in the pop-up menu have no little sideways arrow and therefore, have no leaves; so, they themselves are clickable. Navigation instructions have been improved. and a much requested tutorial on "How my audio clip buttons work" has been included. You may have noticed in the above screen shot of Vol. 1, issue ii's cover that the cursor hand has a pointed finger when it is over the montage of four images. 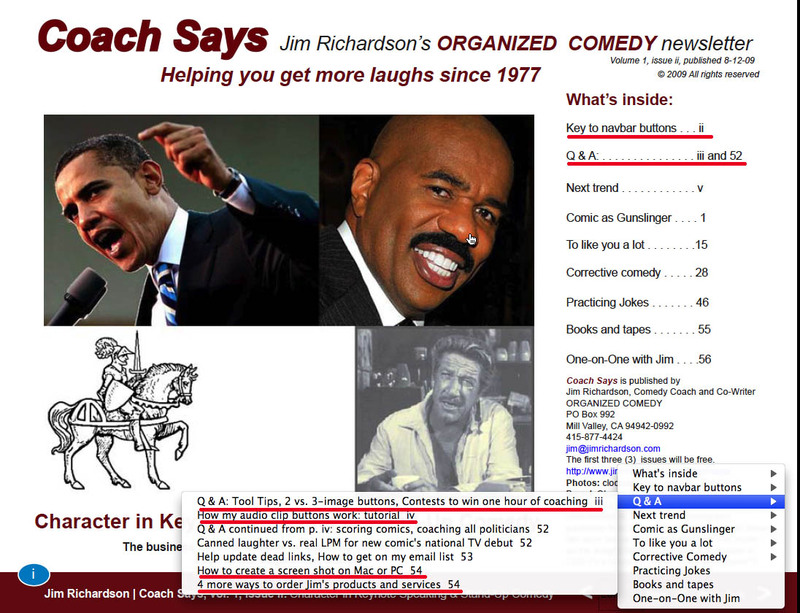 •All images in issue ii have hidden Easter Eggs that are either text or additional images. then a hidden Tooltip message appears. put your cursor over that word for about one second to see if you get the little pointed finger. but not know as much about him as an average American citizen. It might be annoying to USA users if I included such information in the main body of the text. and not be half as much fun. it's just gotta be fun! 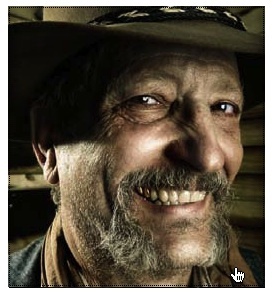 the frowning cowboy reappears, but without his Tooltip. 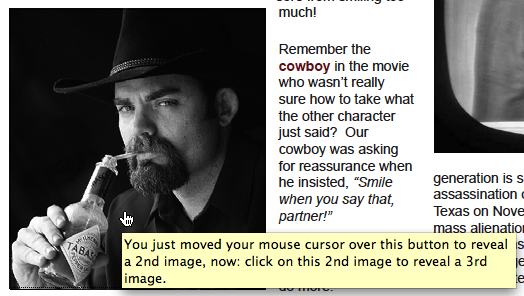 Move your mouse off the frowning cowboy, and the first smiling cowboy reappears. wait a second for the frowning cowboy's Tooltip message to re-appear. Have fun playing around with the single-, double- and triple-image rollover-buttons you can find on page 17 through to page 50. 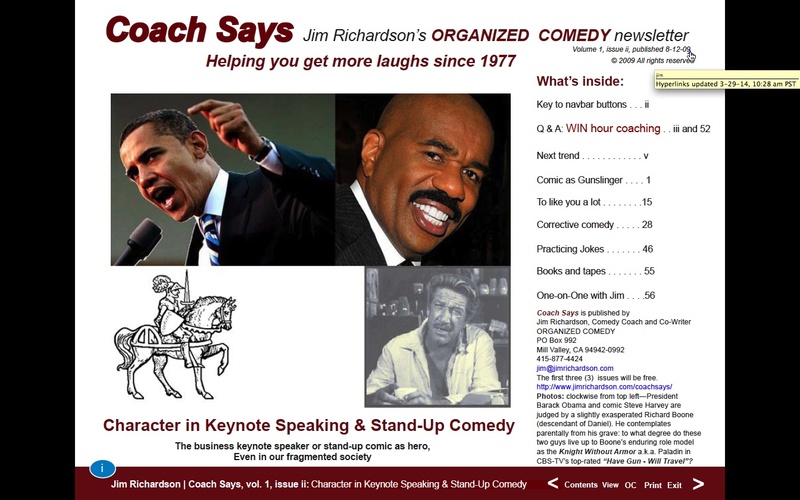 •One of them has a clue that can lead you to WINNING that FREE hour of my coaching and co-writing services. Page created: Tuesday, March 18, 2014, 11:46 am PST and updated Tuesday, June 3, 2014, 10:26 pm PST.